In my opinion there is no better place to spend a Sunday morning in London then Camden. The whole area is bustling and a hive of activity and there are some definite bargains to be had. 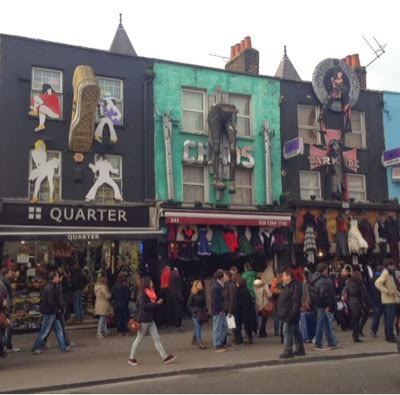 Camden is made up of several market areas which are all set back from the main high street which itself is full of quirky individual shops you would struggle to find anywhere else. You won't find many chain stores in Camden that's for sure. The whole area has a bohemian and diverse vibe to it and there is something new to look at with every corner you turn. We arrived at Camden tube station at 11am (most of the markets open from 10am). It is worth noting that Camden tube station is open for exit and interchange only from 1pm-5:30pm on Sundays so using nearby Chalk farm station to depart is recommended. 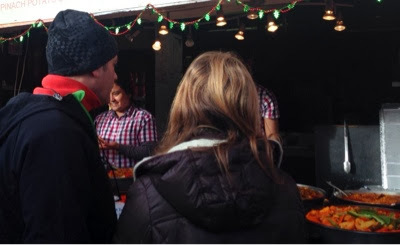 The first market we stumbled upon was the 'Camden loch market' The first thing you notice when you enter is the food stall sellers shouting over at you asking you to try their food. They are very friendly and don't mind answering your questions. 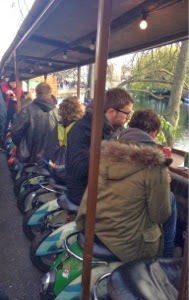 If you do choose to buy food from these stalls the seating area is very quirky and overlooks the lock area. 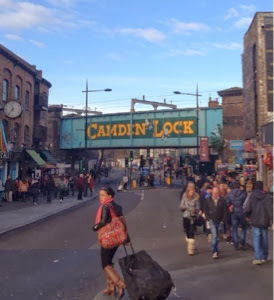 Camden lock market sells clothes, handmade jewellery and gifts and a lovely selection of bags. T-shirts were priced at £6 each and trendy vest tops were 3 for £10. Bargain prices. Next we visited the 'Camden market' area. We bought some gifts for our children at rock bottom prices. 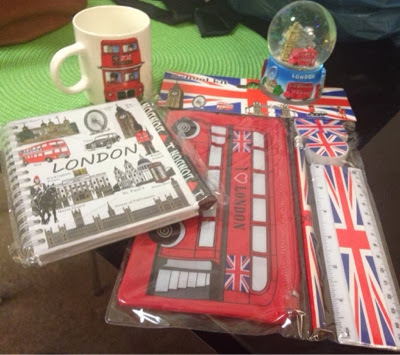 We bought a London snowglobe, London stationery set, London notebook and London mug all for £3.30!!!! This would have cost more than 5xthis amount in other parts of London. The prices were so cheap we could buy all of this for each of our 3 children. They will be very pleased. After all of this shopping we were ready for some lunch. We entered the stables market and were spoilt for choice. 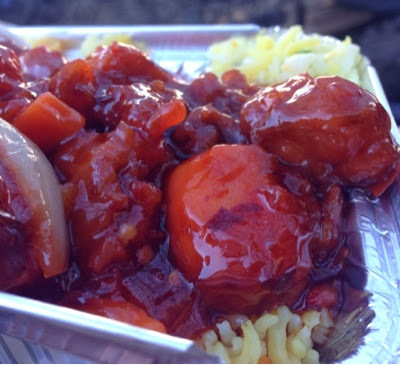 Chinese, Thai, Morrocan, Pizza, Pasta, Indian, Lenanese, Turkish, fresh seafood and traditional British. It was so hard deciding what to buy. You are allowed to try before you buy and mix and match from the stall you buy from which is good. The prices are just so cheap! 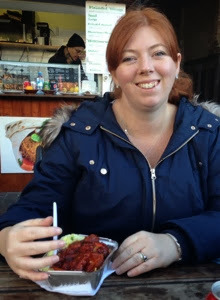 I ended up choosing some spicy chicken and rice which was only £4. There are plenty of seats and tables for you to sit and enjoy your food. 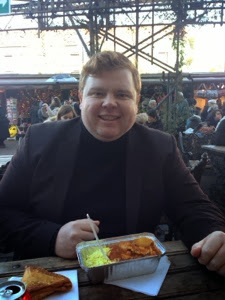 The stables market is my favourite market in Camden. There is an indoors vintage market which sells some beautiful unique homeware. I also like how many of the 'stables' are actually workshops and you can wander in and watch people at work and ask questions whilst you browse their goods. There are lots of lovely clothes, bags and purses for sale too. 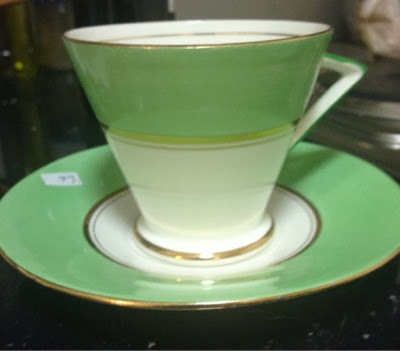 I have been searching for a vintage teacup and saucer for months now and this one caught my eye. At £6 I decided to treat myself. We spent a lovely 3 hours in Camden and could have spent a lot longer. If street food isn't your thing there are lots of bars and independant restaurants lining the streets and along the sides of the lock. In the future, We would love to go back and sample Camden at night.